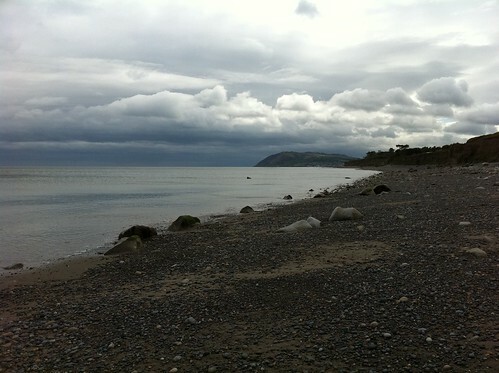 Took a breath of air with Dogger here today, meandering down Killiney Beach with a warm wind at my back and a leaden sky overhead. I hadn’t been here for years and was quite surprised at how far the cliff has retreated, the erosion is pronounced. I wish I’d brought a camera with me because the sky was so impressive, all I had was the iPhone, so that’s what you’re seeing above.